Minimum quantity for "Himalaya Herbals Baby Massage Oil (50ml)" is 1. Minimum quantity for "Himalaya Herbals Baby Massage Oil (100ml)" is 1. Minimum quantity for "Himalaya Herbals Baby Massage Oil (200ml)" is 1. Minimum quantity for "Himalaya Herbals Baby Massage Oil (500ml)" is 1. Minimum quantity for "Himalaya Gentle Baby Wash (200ml)" is 1. Minimum quantity for "Himalaya Gentle Baby Wash (400ml)" is 1. Minimum quantity for "Himalaya Gentle Baby Bath (100ml)" is 1. Minimum quantity for "Himalaya Baby Care Refreshing Baby Wash, 100ml Bottle" is 1. Minimum quantity for "Himalaya Baby Care Refreshing Baby Wash, 200ml Bottle" is 1. Minimum quantity for "Himalaya Baby Care Extra Moisturizing Baby Wash, 100ml" is 1. Minimum quantity for "Himalaya Baby Care Extra Moisturizing Baby Wash, 200ml" is 1. Minimum quantity for "Himalaya Baby Care Extra Moisturizing Baby Wash, 400ml" is 1. Minimum quantity for "Himalaya Moisturizing Baby Soap (75 Gram)" is 1. Minimum quantity for "Himalaya Moisturizing Baby Soap (100 Gram)" is 1. Minimum quantity for "Himalaya Moisturizing Baby Soap (125 Gram)" is 1. Minimum quantity for "Himalaya Gentle Baby Shampoo (100ml)" is 1. Minimum quantity for "Himalaya Gentle Baby Shampoo (200ml)" is 1. Minimum quantity for "Himalaya Gentle Baby Shampoo (400ml)" is 1. Minimum quantity for "Himalaya Baby Cream, 50ml" is 1. Minimum quantity for "Himalaya Baby Cream, 100ml" is 1. 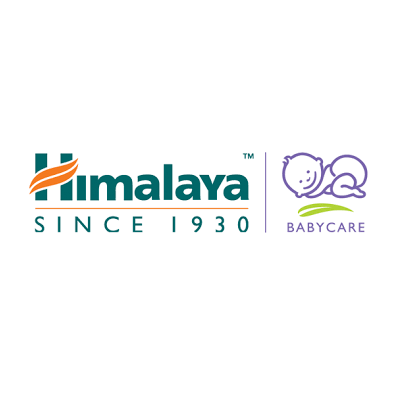 Minimum quantity for "Himalaya Baby Cream, 200ml" is 1. Minimum quantity for "Himalaya Skin Care Diaper Rash Cream, 20gm" is 1. Minimum quantity for "Himalaya Skin Care Diaper Rash Cream, 50gm" is 1. Minimum quantity for "Himalaya Skin Care Baby Lotion (100ml)" is 1.